Diary of an Incompetent Soprano: "If I could've been, I would've been. And that's show business".....Hmm that's a scary thought right now. "If I could've been, I would've been. And that's show business".....Hmm that's a scary thought right now. So, this diary entry was to have been more on the travesty of "cross over" artists but, to be honest, I bore myself even thinking about it. It is was it is. If people enjoy listening to some sub standard soprano killing "O mio babbino caro" on the radio (or on The Voice) who am I to set them straight. A few years ago I would have had the arrogance to tell all those people who enjoy the work of the likes of Katherine Jenkins that they were fools but now I think each to their own. I am past caring. My days of getting angry and up in arms about how ordinary folk are being duped are at an end. As far as I am concerned if you like something who am I to try and tell you you are wrong. That is my final word on the subject (for now). So on to something far more worthy of my time. "Gypsy" and, particularly, Imelda Staunton. Not wanting to go into too much personal detail (another singing blogger saw fit to describe his vasectomy in his latest blog post!) it is no secret that I am going through a period of change (not THE change I should point out). I am not sure what I should be doing with my life and am finding motivation difficult to muster. I decided recently I should at least try to sort myself, specifically my head, out and decided a few trips to the theatre might be in order. And boy did I pick a humdinger to start with. Last night I attended the opening preview of "Gypsy" at the Savoy Theatre. "Gypsy", in my humble opinion, is the perfect musical. Perfect in the fact that you forget it is a musical, even when they are singing. It was a strange thing. I knew music was happening, I could hear it but it comes from nowhere. There are no big set ups no "cues for a song". The songs just happen and their inclusion always makes sense. It is not short, coming in at around 2 hours 50 but it never feels long. Of course this is the first production of "Gypsy" I have seen so it could be that it was the perfect musical along with the perfect cast, perfect director, perfect choreographer, perfect band. Whatever the case it was perfect. The reason I decided to see this particular show was because of Imelda Staunton. 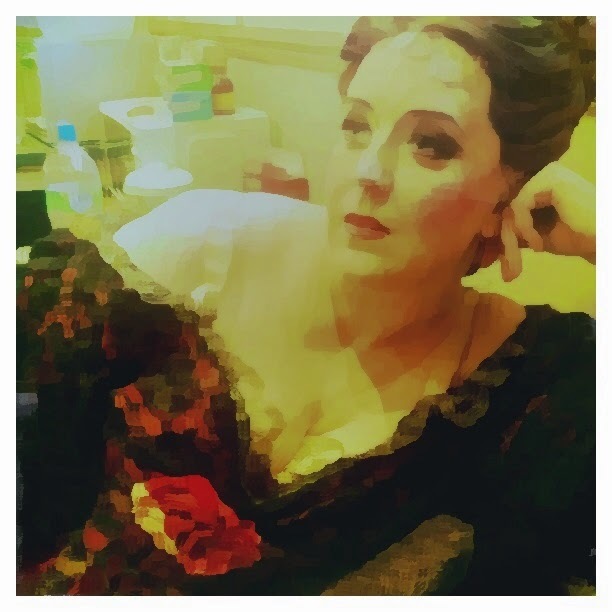 I missed her Mrs Lovett and decided there was no way I was missing her Momma Rose hence I booked for the first preview. She is a phenomenon. She is undoubtedly the star of the show but she doesn't overshadow the rest of the cast. She is so utterly generous to her fellow cast mates and enables them to match her but, try as you might, you can't take your eyes off her when she is on stage. I now understand the meaning of the word mesmerising. I have had 3 experiences at the theatre that have felt "life changing". The first was seeing Angela Gheorghiu in "Romeo and Juliet" at the Royal Opera House, the second, Karita Mattila in "The Queen of Spades", again, at the Royal Opera House but last night was another level. Last nights performance by Imelda Staunton was one of those life changing experiences that was so incredibly awe inspiring but also makes you contemplate giving up because you know you could never be as good as she is. The moment that will stick with me was near the end just after "Rose's Turn" (a master class in commanding the stage) when Louise says to Rose, something along the lines of, "You could've been great" to which Rose replies "If I could've been, I would've been. And that's show business". At this point in my life that is a sobering thought. Do I stop now because I have little self belief or do I keep trying in the hope that, eventually, I will make it and I won't ever have to think about what could've been? I am not sure at this exact moment in time what is the best course of action for me but last night's experience has left me with this bubbling excitement and a feeling that I do still want to get out there and do something. I teach, a lot, at the moment and, although I enjoy it (sort of) I am not certain that it is my calling. A small part of me knows that I am a performer and thankfully that part of me tends to shout louder than the bit of me that thinks I should give up. I always thought I would come into my own when I was older. The thing I find difficult right now is getting back on the merry-go-round. Once you get off it is REALLY hard finding a way back on. It is also difficult going back to that uncertain life of a performer when you have been given the opportunity to make a decent wage in a "normal" job. The thing is I have never been normal so, really, I was never cut out for a normal job.